ASCO Home Medical Equipment, represented in the photo by, from left, Brittani Gilmore and Pat Justice. 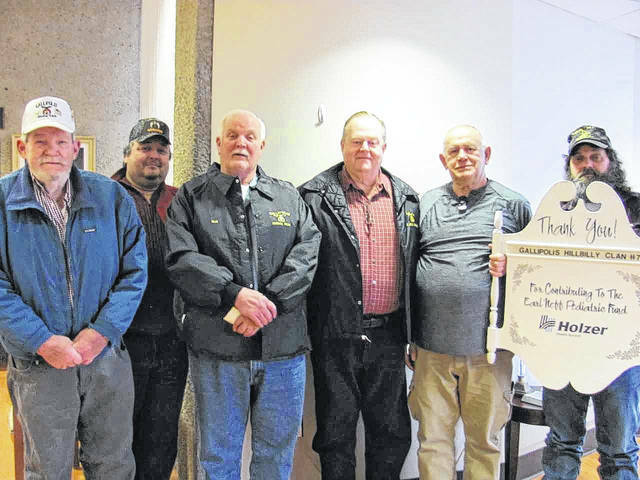 Shrine Club’s Hillbilly Clan #7 represented by Ross Hamrick, Rod Fulks, Keith Spurlock, Carl Dewitt and Rick Clifton. The Earl Neff Pediatric Fund at Holzer continues to be supported by area businesses and organizations. The Pediatric Fund, in existence for over 45 years, has supplied needed toys, equipment and entertainment to the thousands of pediatric patients who have received care on Holzer Gallipolis Inpatient Pediatric Unit. January sponsors are: DASCO Home Medical Equipment and Shrine Club’s Hillbilly Clan #7. 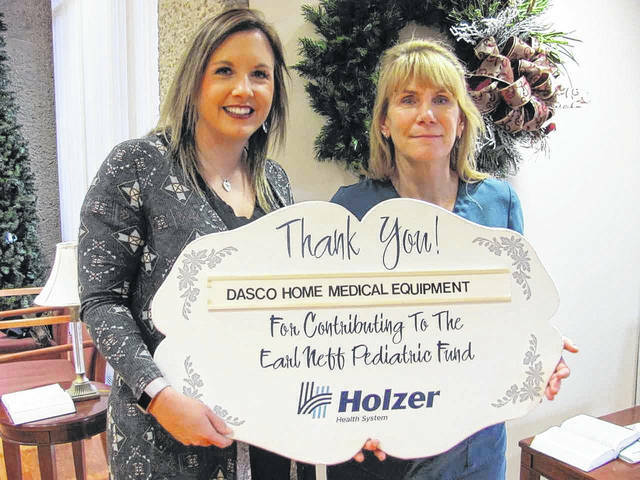 The entire staff of Holzer joins in expressing their gratitude, along with the young children and their families, for these generous contributions to the Earl Neff Pediatric Fund. For more information, please call Jeffers-Lester at (740) 446-5217.